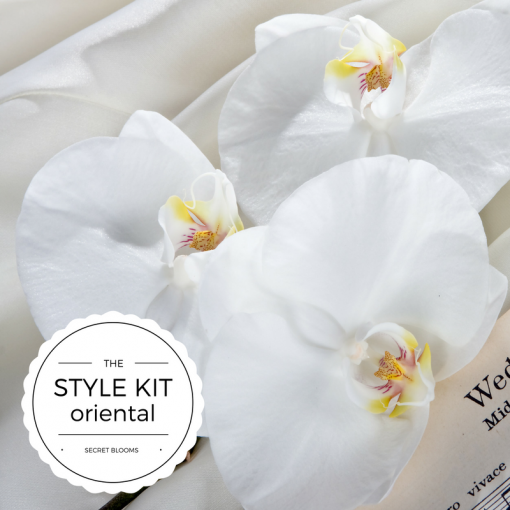 Our Social Media Oriental Kit has been designed as an add-on to our Base Kit and includes a range of our most exquisite stems. 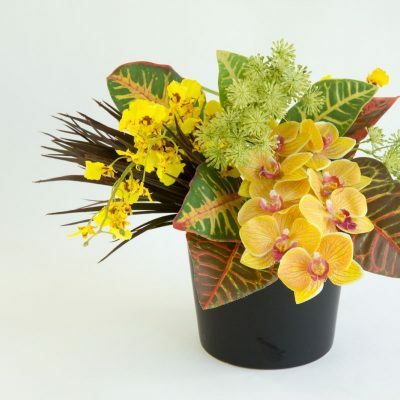 Including a good range of bloom styles and colour hues the stems can be photographed individually or combined to create fun, unique bouquet arrangements. 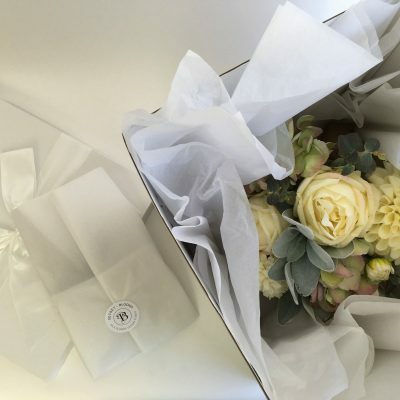 Wrap them florist style for that ‘just purchased’ look or slip them in a jar with fresh water for that ‘just picked’ look. 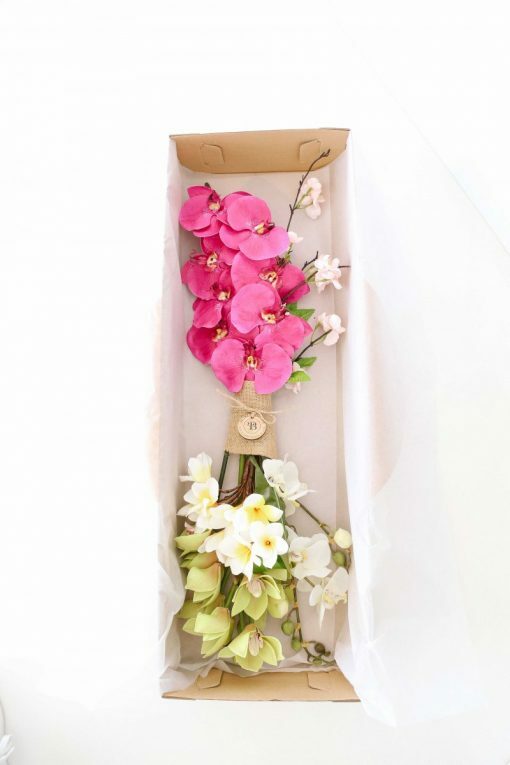 Your Kit comes in a handy bloom storage box which will keep your Secret Blooms on hand and looking perfect all year round. 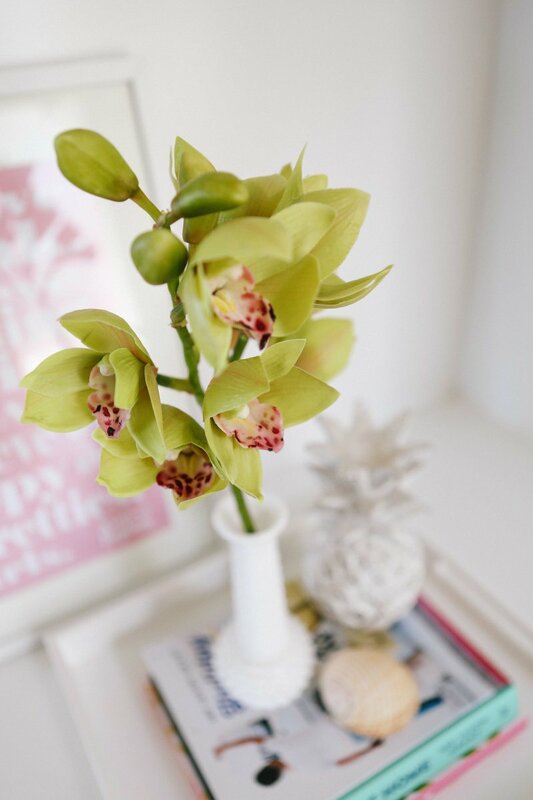 Save yourself the time and cost of having to purchase fresh flowers – let our blooms be your best kept secret. 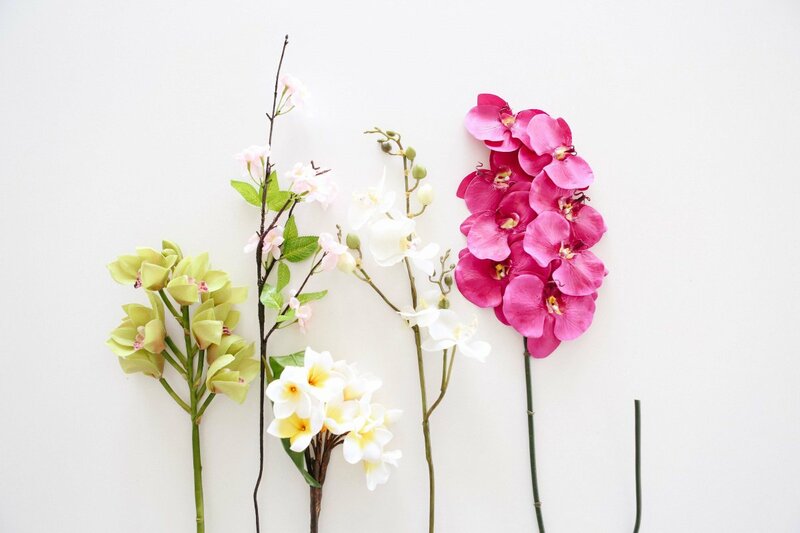 Blooms are supplied as individual stems. Stem lengths vary between 50cm and 80cm. 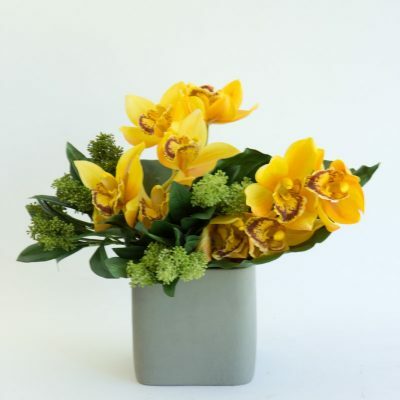 Lengths can be altered for styling purposes by simply bending the stems in coloured glass or ceramic containers or cutting them to a size that suits your general styling purposes. 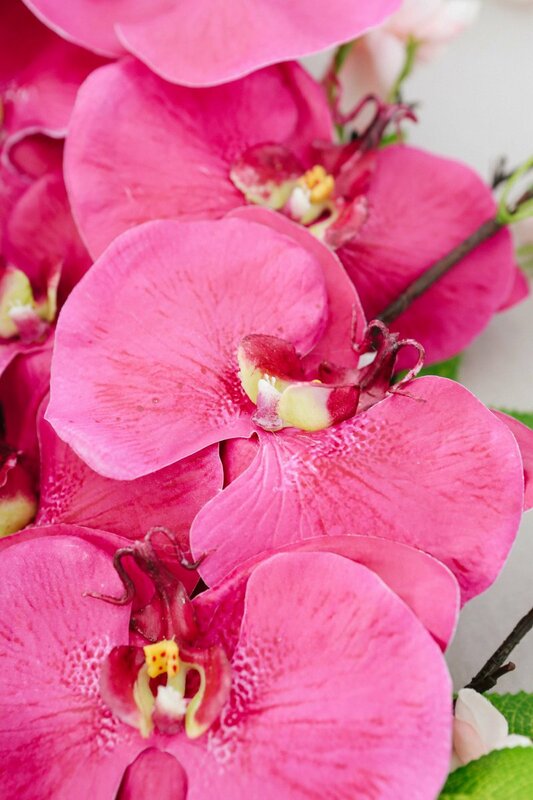 Whilst all our stems enjoy a dip in water we do recommend you don’t keep them sitting in water for extended periods. Your Oriental Styling Kit includes: large green cymbidium, fuschia Phalaenopsis , multi-headed frangipani, woody peach blossom stem and a multi-headed white Phalaenopsis stem. 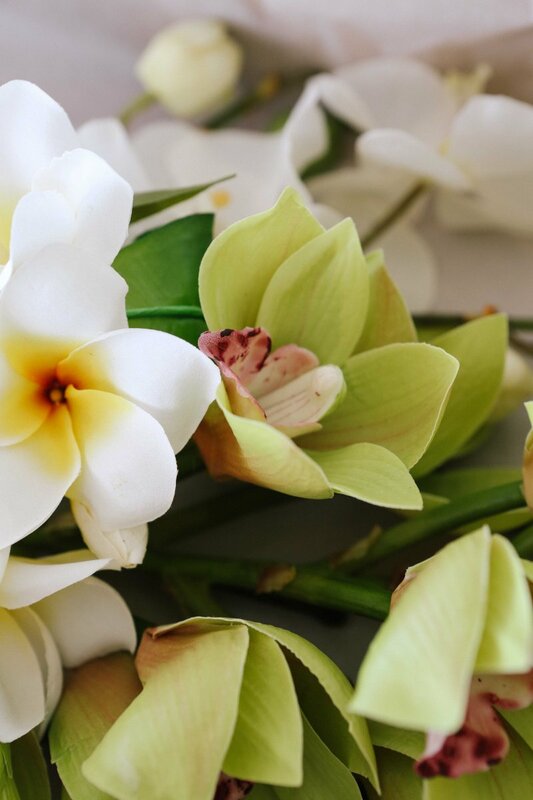 A total of 5 individual stems. 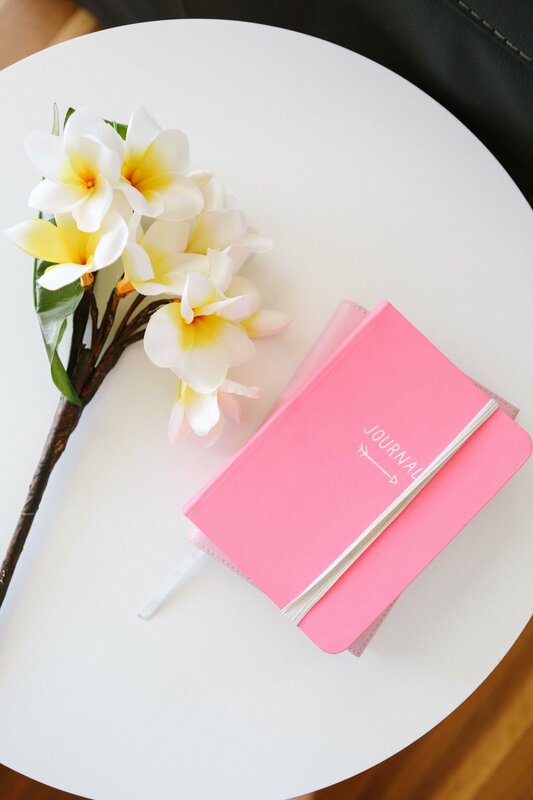 Your kit is prepared to order, beautifully presented with handwritten stationery and of course our signature Secret Blooms wooden seal of authenticity. Whilst every effort is made to illustrate the product’s true likeness in our photos, there is likely to be some minor variation in the appearance of your product as a result of blooms being individually made and hand painted.